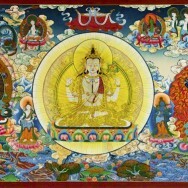 Our true nature, when Illuminated, is living Compassion for all beings, all things, all states, and all forms. I love the art on this site and in the Celestial Gallery book! Magnificent, and very helpful for meditation. Thank you for sharing your art with the world, especially the West, because we definitely need light over here and for people to awaken.